You may have read about the numerous benefits of mindfulness meditation but have no idea of where to start. Using an app such as Headspace can be a great starting point for beginners. App meditation is so convenient, most people always have their phones to hand. 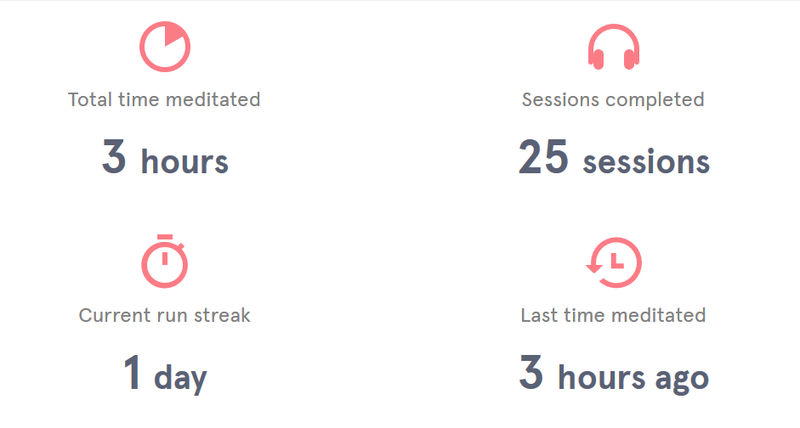 The best meditation app I've tried by far is Headspace. Here are the top 5 things you need to know about Headspace. It was founded by Andy Puddicombe, an ordained Tibetan Buddhist monk. He wanted to make meditation accessible to ordinary people, struggling to cope with the stresses of life. It's interactive and you can tailor it to your needs. Meditation sessions are often accompanied by animations to help you consolidate what you have learnt. There are many themed guided sessions depending on what area you want to focus on. Some of these include: anxiety, depression, anger, self-esteem, productivity and focus. It's great for the time poor. You can use it as much or as little as you like. Most of the main sessions only take between 10-15 minutes. There are also mini meditations to try if you only have a spare minute or two. Struggling with motivation? You can use the app to set reminders on your phone. It's easy to keep track of your progress. 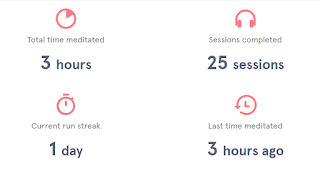 The app shows you stats such as the time you have spent meditating and the sessions you have completed. Headspace makes it really easy to incorporate mindfulness meditation into your life. Why not learn the basics and start the 10 day free trial. Check out www.headspace.com or download the app on Itunes or Google Play. If you decide Headspace is the app for you, subscription is £9.99 a month or £5.99 a month for an annual subscription. I recommend buying the full version as it is regularly updated and has a lot of content to keep you going.